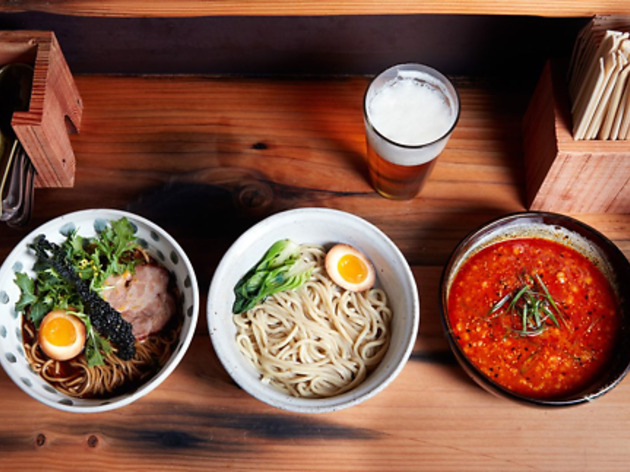 Though a bit pricey, this perpetually packed Rockridge spot is highbrow ramen at its best, with uncommon ingredients and handmade noodles. 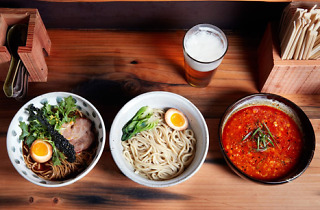 Helmed by co-owners Sam White, Jerry Jaksich and Rayneli De Guzman, this perpetually packed Rockridge spot is highbrow ramen at its best. Though comparably pricey at $16 to $18 a bowl, its ingredients—which may include shoyu-marinated egg, blistered tomatoes, chanterelle mushrooms or summer squash—are uncommonly fresh. It's also one of the few ramen shops to make its own noodles, hand-rolled and cut in-house each day. It sounds like an affront to tradition, but the veggie Meyer lemon shoyu ramen, flavored by red miso and heaped with a salt-cured egg and seasonal ingredients, is the spot's most raved-over order. In August 2015, the restaurant took over the storefront next door, expanding its sleek concrete bar and its assortment of Japanese whiskeys and sour beers.